Pavis Backup and Disaster Recovery Solution is unlike other Cloud Computing services on the market in that Pavis employs a Hybrid Cloud model that fuses the scalability of a Public Cloud with the security of a Private Cloud. With Pavis Cloud, a Focus Technology Solution technician installs the system on the organization’s current network and then the system administrator delegates what information and applications are hosted on the internal private network, and what is sent off-site into the Cloud. Pavis Cloud combines the simplicity of Pavis Onsite with the efficiency of the Cloud. Added to your current infrastructure, the system can delegate whether to store files locally or send off-site into the Cloud. All Pavis Cloud solutions are scalable to suit your organization’s needs. The Pavis Backup and Disaster Recovery Solution provides data solutions without any limitations that also better utilize your organization’s already existing hardware. Pavis Backup is an advanced Backup Data Recovery (BDR) system. 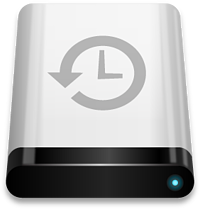 Pavis Backup takes continuous snapshots of your data in timed intervals as frequent as 15 minutes, so your data is being backed up as it changes, 24 hours a day. Pavis Backup is a more efficient and cost effective solution than traditional tape back-up systems. Integrates seamlessly into your existing network. Archives continuous snapshots of your data. Restores information within minutes in the event of a disaster. Able to operate as a virtual server in case of hardware failure. All data is encrypted and moved to and from the cloud via an SSL connection, keeping your information safe and secure. Pavis Onsite is an all in one backup disaster recovery solution. A simple Pavis unt is added to your current IT infrastructure to continually backup your data. Pavis is completely hassle-free and cost-effective. Pavis integrates seamlessly into your network and archives continuous snapshots of your data as it changes 24 hours a day. 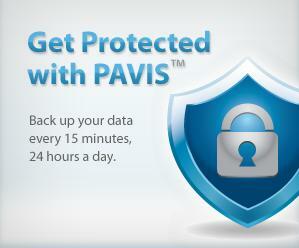 Pavis is advanced Data Protection technology – no backup tapes or software necessary. Pavis will also act as a virtual server for your office in the event your production sever has hardware failure. This unique feature allows your users to access your vital company data while your server is repaired or replaced without them ever knowing there was an issue. Pavis provides business continuity, so you don’t have to worry about interruptions to your business operations. To learn more information about our service, please contact us or fill out the form to the right of this page and a company representative will be happy to answer all of your questions.